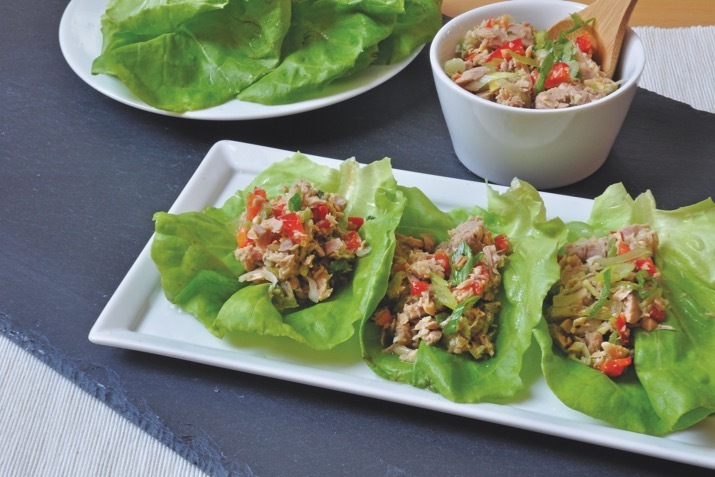 Fresh ginger, lemon grass and fish sauce give this Asian-inspired tuna salad delicious appeal. In a large bowl, mix all ingredients together thoroughly, breaking any large chunks of tuna into smaller pieces. Enjoy this lively, Asian-inspired tuna salad in a lettuce leaf wrap or atop chilled soba or rice noodles, accompanied with a cup of miso soup and rice crackers.